MacKenzie Porter can never be accused of being lazy. For years the Medicine Hat born-and-bred performer has juggled singing and acting careers. Things are no different as 2018 comes to a close. Porter’s spent most of the past few years in front of the camera, first with the AMC show “Hell on Wheels,” now with her current Netflix show “Travelers.” On a break from that show, she’s ready to put the microphone first. All that writing time means today’s releases are just the tip of the iceberg. “In the new year we’re dropping song after song after song. 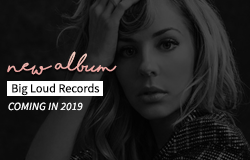 People can expect every few months there’ll be new music out.” An album and big tour (that she can’t say much about for now) are coming in the new year. “About You” and “Drive Thru” continue Porter’s penchant for songs from a personal place. She said she believes telling your own story is the only way to have people relate to your music. “Chances are if I’ve gone through it other girls have gone through it or guys have gone through it,” she said. Though not written by her, Porter felt an instant connection to “About You,” a song about messing up a relationship and not getting a second chance. “Drive Thru” is a defiant anthem reminiscent of her 2015 song “Rodeo.” That song features Porter setting a suitor straight before any relationship begins, while “Drive Thru” has Porter laying down the law a little later on. “I feel like anybody can feel that way where it’s like ‘oh no, you’re not going to call me whenever you want and it be on your terms’ and it’s a fun way of saying that,” she explained. As for the screen, season three of “Travelers” is out on Dec. 14. The end of last season saw the quintet expose themselves as time travelers. The story picks up with the quintet trying to clean up that mess. Porter’s character Marcy is also dealing with a more personal struggle.